Maurice Sykes is the author of Doing the Right Thing for Children: Eight Qualities of Leadership. 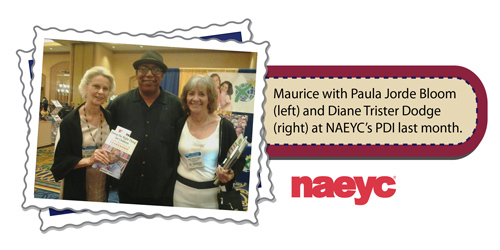 Recently, the Minnesota Association for the Education of Young Children (MnAEYC) and the Minnesota School-Age Care Alliance (MnSACA) did an interview with Maurice about his book. MnAEYC-MnSACA promotes quality in early care and education and out-of-school time programs and supports the leadership and development of early care and education and out-of-school time professionals. Read on to learn more about Maurice, his leadership experience, and his book. Thanks to MnAEYC-MnSACA for letting us share this interview! Here is an edited transcript of our email conversation. 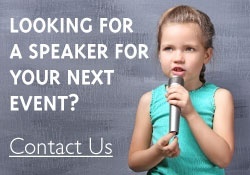 What is your professional story? My professional story is that I have been fortunate to spend my entire professional career in the presence of young children, listening, learning and loving every new experience, from my first teaching job in an all boys ungraded primary classroom in Washington, DC, to my current position as the executive director of an early childhood professional development institute. I did not quite choose the field of early childhood, it more or less chose me. I was a sociology major and a psychology minor in undergraduate school and I had my mind set on becoming a social worker. After an internship experience at the VA Hospital in Dayton, Ohio, I decided that social work was not for me and then I set my sights on becoming an industrial psychologist. I was all set to attend the School of Industrial and Labor Relations at Cornell University; however, it was also at the height of the Vietnam War and the draft loomed over my head. Some Quaker friends told me that teaching in the inner city school could possibly earn me a deferment from the army and that is the road that I chose. I have never regretted that decision because it launched me on a career trajectory that continues to provide awe, wonderment, and intellectual stimulation for me. Why write the book now? What do you hope people learn or do after reading the book? I wrote this book now because I think that the most overlooked aspect of our field is the systematic, intentional development of dynamic, transformational leaders for programs and schools serving young children. Leaders who dare to make a difference and have the courage to do the right thing for children. I am trying to convey two interrelated thoughts: You cannot have great programs or schools for children without great leaders, and most great leaders grow through a series of rich and robust developmental assignments guided by a set of core values that I have outlined in the book. What I hope people do after reading the book is to look inward, outward, and forward. I would like for people to examine their own leadership trajectory and their set of core values. I want people to ask themselves, are they really doing the right thing for children, or are they just standing still marking time? I would like for people to acknowledge that there is indeed a leadership gap in the field of early childhood education and to rally and advocate for the systematic, intentional development of early childhood leaders be placed on national priority agenda alongside universal pre-kindergarten, or teacher credentials, or increased compensation. What does doing the right thing for children look like for you? For me, doing the right thing for children is keeping the focus on what is in the best interest of children in all of our public policy discussions, our public financing considerations and our public practices regarding teaching and learning. It is important that in each of these spheres of discourse and action that we bring no harm to any child who is in our care. Children have no voice and no vote and therefore doing the right thing for children requires us to be ever vigilant, and even skeptical about many reforms that are touted as in the best interest of children. Our core values must serve as our moral compass. How did you land on eight qualities of leadership? You said " . . . these eight qualities of leadership are nonnegotiable. I view the absence of any one of these as a fatal flaw in leadership." What would you say to someone who feels overwhelmed by this? They may feel comfortable with five or six of the qualities, but one or two seem out of reach. Writing this book challenged me to look introspectively at who I am and what I am about. I simply saw myself as someone who did good work and great things for children and adults, but I never examined why. I never examined what drove me to do this work and what were the underlying principles that guided me. The hard part was figuring out what made me tick. I do not mean to suggest that I was unaware of who I was and how I contributed to the field of early childhood education. What I had never done before was to try to give a name and emotional texture to what I do and to try to guide others along that same professional pathway. I would say to someone who may feel overwhelmed by the eight qualities and feels comfortable with five or six, "Work on the other two or three." Part of being a great leader is to stretch one's self by striving toward your personal best. What do you know now that you wish you'd known when you began your career? Oh, there are probably a lot of things I should have known. But, mostly, I'm glad I didn't know how much I didn't know! If I'd realized what an enormous task I was taking on—and how unqualified I was to do it at the time!—I probably wouldn’t have dared venture forth! Although this wasn't a passion I was born with (does anybody grow up saying, "I want to be a children's physical activity specialist"? ), it has certainly become a passion for me. So, yes, I'm really glad I didn't know how much I didn't know. The social justice piece really resonated with me and it seems to be at the core of your work. Why is this quality so important to our field? Yes, social justice is at the core of my work because I think that high quality early childhood programs can ameliorate some of the social injustice that exist for children, who as a result of the birth lottery, find themselves at the bottom of the economic and educational heap. I think that it is our collective responsibility to do the right thing for children. Our field is supposedly committed to issues of social justice. So many of our practices and beliefs are based on democratic principles such as choice, sharing, co-constructing, inquiry, care for living things, empathy, and perspective taking. The task before us is to advocate against the injustice of poor quality programs, excessive expulsions from pre-k programs, especially for boys and most especially boys of color, low wages and low status of our colleagues, the systematic exclusion of men in the workforce due to gender bias, and the list goes on. You say: "Oftentimes we fail to take advantage of the circle of control that is available to us. The truth is we usually have far more control than we realize." This is powerful. One thing we are working on here in Minnesota is engaging the field around policy and advocacy, to help them see they have power. What suggestions do you have for those who say they don't have time or don't see themselves as advocates, who don't know they have a circle of control? Nobody is going to come to a meeting unless they've got a reason to come to the meeting. Nobody is going to come to a meeting unless they know about it. If an organization doesn't grow, it will die. Anyone can be a leader. The most important victory is the group itself. If you're not fighting for what you want, you don't want enough. Much of the social justice quality is wrapped up in competence too. We need to build the competence of the educators, but it's important to build this competence in the children too, so they see themselves as people who can effect change. How do we encourage this to happen in more settings? First and foremost, we must teach children to think and to care. One of our overarching themes for our investigation at our lab school next year is "A Sense of Place." Within that overarching theme, we plan to incorporate issues such as equality and social justice. Our professional learning community will spend a great deal of time this summer researching and reflecting on issues related to social justice and how to incorporate issues of injustice into our overall curriculum focus. Some of our initial essential questions for our investigation sound like this: What practices do we observe in our school that promotes democratic principles, an engaged citizenry and social justice? How do issues of injustice manifest themselves within our sense of place in our school community, home community and world community? Another might be, how can we engage in acts of courage within our multiple communities to promote social justice? You speak about the need for fair compensation for teachers. Do you have suggestions for how we go about getting fair compensation? I know that it is doable. However, we have to be willing to do the heavy lifting that it requires and we must organize according to the rules that I mentioned above. In Washington, DC, we have been very successful in not only attaining universal pre-kindergarten, but also comparable pay and scholarship dollars to support tuition and fees for teachers who had to meet the new educational requirements. Simply put, we did not suggest that we should receive equitable compensation because we were good people doing good things for society, we cast our work as the foundation for K—12 school reform, the city's workforce development strategy, and the overall economic vitality of the city through its investment in high quality early childhood education programs. Of course, that did not take care of the infant/toddler programs, but we did get the door opened. What is the importance of organizations like NAEYC/MnAEYC? How do we keep ourselves relevant? These organizations are very important, however in order to be relevant to young professionals we must reinvent ourselves. We must meet the demands and expectations of the 21st century and be careful not to put old wine in new bottles. Are we really tapping into the hopes, dreams, and aspirations of the next generation of early childhood educators? What do they want? What excites them, what motivates them? What do they think of what we have done so far? Yes, we do have a wonderfully rich and robust history and traditions, but the questions remain, "What? So what? Now what?" In your discussion of courage, how do you find a balance between standing strong in core values and being open to improvement? I think that we grow strong in our core values as we test them out in multiple settings to see if they will withstand the test of time. Putting them to the test will ultimately lead to personal improvement if you are willing to look inside yourself, question yourself and challenge yourself to become a better leader. What do you see as one of our biggest challenges in the field? The grit, perseverance, and tenacity to do the right thing for children. Learn more and see a full list of titles by Maurice Sykes.